India had ordered 15 Chinook helicopters. 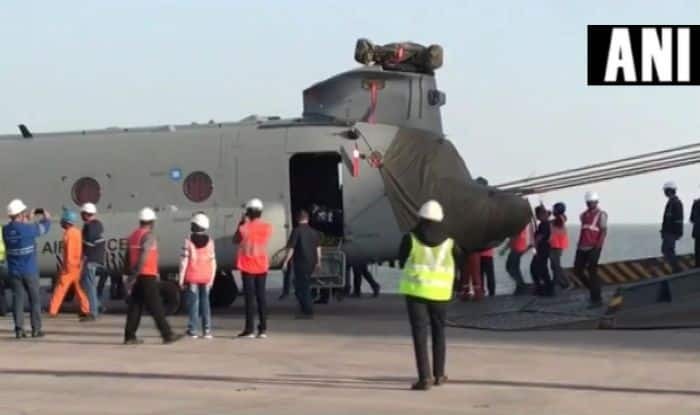 New Delhi: American aerospace major Boeing on Sunday delivered the first batch of four Chinook military helicopters for the Indian Air Force at the Mundra port in Gujarat. A statement from the company said the CH47F (I) Chinooks will be ferried to Chandigarh where they will be formally inducted into the Indian Air Force later this year. The Chinook is a multi-role, vertical-lift platform, which is used for transporting troops, artillery, equipment and fuel. It can be used for humanitarian and disaster relief operations and in missions such as transportation of relief supplies and mass evacuation of refugees. India had finalised the contract with Boeing to procure 22 Apache helicopters and 15 Chinooks for the Indian Air Force in September 2015. “Boeing has strengthened its supply chain with over 160 partners in India, and a JV to manufacture fuselages for Apache helicopters. Annual sourcing from India stands at $1 billion,” it said. India was officially handed over first of the Chinook helicopters at Boeing’s facility in the presence of Indian ambassador to US Harsh Shringla earlier this month. The ‘India-Chinook Transfer Ceremony’ took place at Boeing’s facility in Philadelphia. DGAO, Air Marshal A Dev, from Air HQ (Vayu Bhawan), Consul General of India in New York Sandeep Chakravorty and Air Attache Air Cmde Shivanand were also present on the occasion.